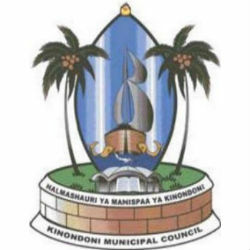 The city of Kinondoni in Tanzania won the African Mayor Awards held in Luanda, Angola on 1st may 2015. The awards acknowledge the leadership and contribution made by mayors of large, medium and small cities and celebrate achievements and excellence in urban development in Africa. According to Omar Ben Yedder, the Awards organizer “the winning cities are being led by individuals who are showing essential leadership qualities as they help build cities that work”. Yusuph Mwenda, Kinondoni Mayor made news earlier this year for urging people in his municipality not to depend on central government. The award was given to Kinondoni as well as the cities of Praia in Cape Verde and Accra in Ghana. The winning cities will receive prize money totaling USD 350,000 for specific initiatives. USD 100,000 will go to Kinondoni (medium city), USD 50,000 will go to Praia (small city), and Accra (large city) will receive USD 200,000. Kinondoni with a population of 1.08 million is the northernmost of three municipalities in Dar es Salaam, the commercial capital of Tanzania.